It’s hard to believe these picture were taken a week ago on Sunday, with almost 70 degree weather, when this weekend we have about 6 inches of snow! Crazy Chicago weather at its best! 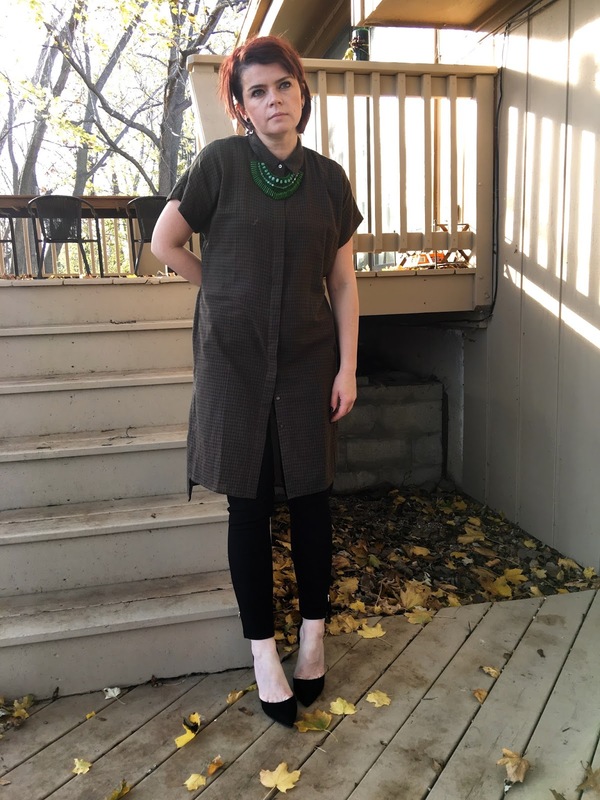 I have always been into loose fitting tops, dresses, tunics, etc., but recently I have also been into long tops; ones that reach to the knee for an effortless and cool look. 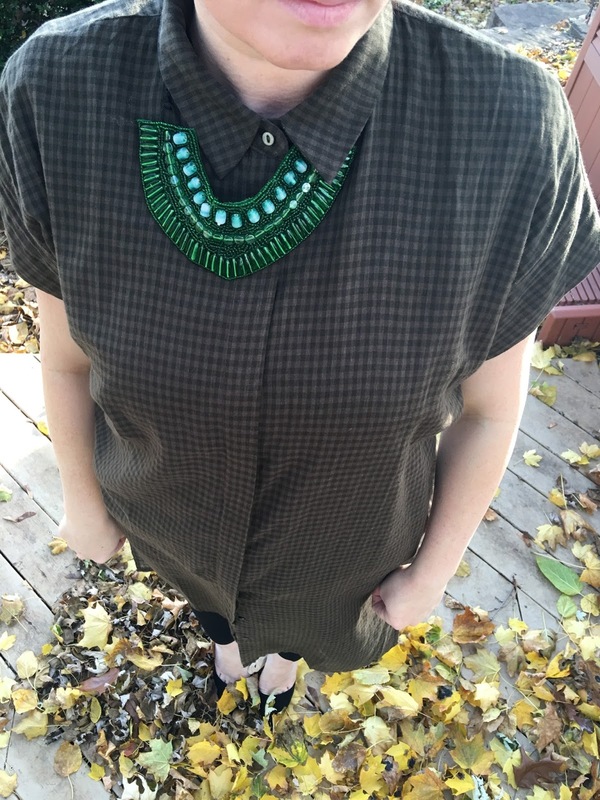 This shirt dress can be worn with jeans, leggings, or as a dress, but I styled it here with skinny black pants. I love the neutral colors of this shirt. 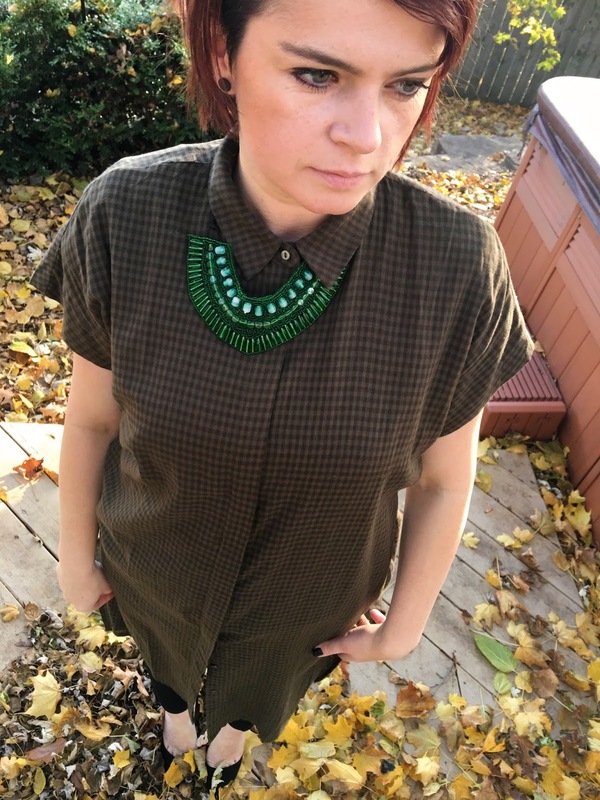 I picked up the dark greens from the shirt and added another dimension to it with this green bib necklace, which I bought a long time ago at Loehmann’s (my go-to store, which unfortunately doesn’t have any locations in Illinois anymore, sad face). I hope you all have a great Sunday! Wearing: Forever21 shirt dress; H&M pants, Forever 21 pumps.